PTNA Members' Individual Webpages and Cards Are Renewed! PTNA Members' individual webpage (My Page) are updated. 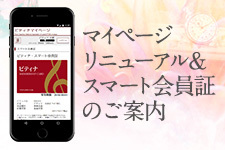 Members' cards also renewed, and becomes available on their smartphones. Recently, PTNA announces to hold events for younger members and new members. The former event is scheduled on December 12th in Tokyo, aiming at gathering young members, mainly in their 20s-30s, to exchange information and get to know each other. Participants will also have a chance to ask questions to senior members about how to get involved in PTNA activities, etc. The latter event is scheduled on January 18th in Tokyo, aiming at gathering new members who got affiliated since April 2015. There are piano teachers, no matter how experienced they are as teachers, who would like to have friends and fellows, but are not quite sure what to do in PTNA. This event will give them ideas how to get involved in, and how to develop themselves in this national network. Recently, a series of articles has started to introduce young piano teachers. Haruka Shinoda, who has started to teach piano after graduation from Kunitachi Music College two years ago, had to shift her mindset which she had not expected before. "I realize that youth is not an advantage when you teach piano to someone who are much elder than me. I had to face with this fact, and began to consider how I should wear, what I should talk, in order to gain trust from my students. Now I feel that I am not "teaching", rather, I try to increase fellows who enjoy music and share the pleasant moment with.